Elton John has announced that he will tell “the truth” about his life in a “no-holds-barred” autobiography this October. The music icon has been working on the book for years, earlier saying of the project, “I’m not prone to being a nostalgic person. I’m often accused of only looking forward to my next gig or creative project. “It’s come as quite a surprise how cathartic I am finding the process of writing my memoirs. “As I look back, I realise what a crazy life I have had the extreme privilege of living. “I have grown up in a period of extraordinary change in our world – and have had the joyful honor of rubbing shoulders and working with so many of the people at the heart of these changes. In May, a “fantasy musical” based on Elton’s life will be released, titled Rocketman and starring Taron Egerton. Egerton does his own singing in the film, which will explore the music icon’s early days at Royal Academy of Music in London and his subsequent rise to pop stardom. But Egerton has said that Rocketman is not a traditional biopic. “Everyone thinks it’s a biopic. It isn’t. It’s a fantasy musical,” he told Collider last year. 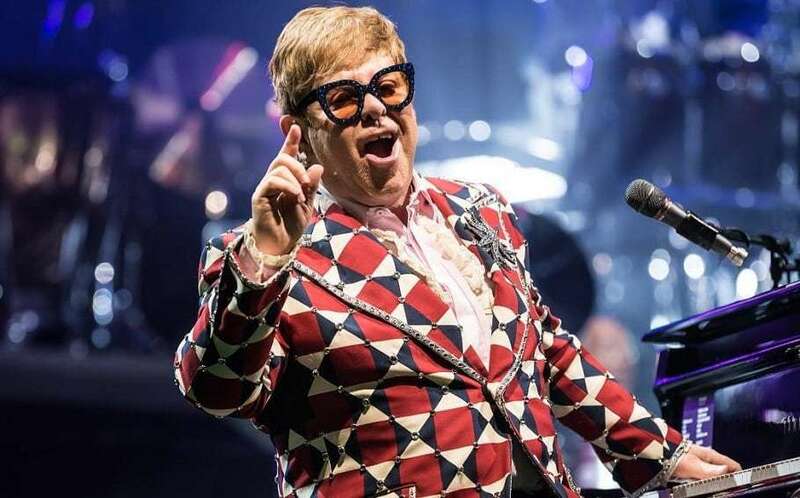 Elton announced last month he’ll play more than a dozen concerts across Australia next summer, as part of his global farewell tour. After the tour wraps up, Elton has said he plans to retire from touring to spend more time with his family.